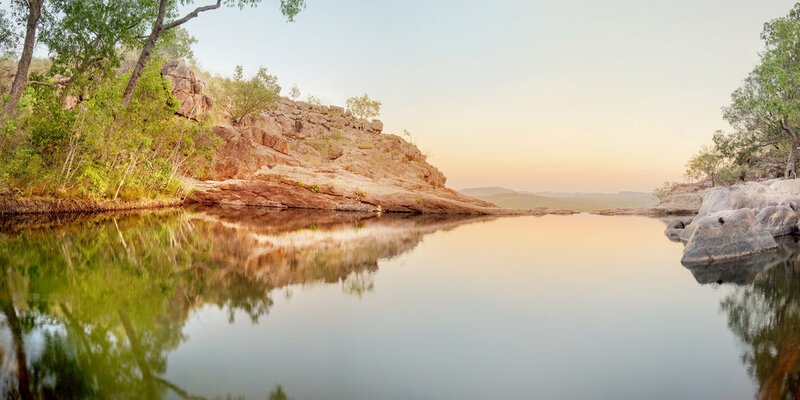 Corroboree Billabong is a large wetlands system and part of the Mary River region in the Northern Territory. 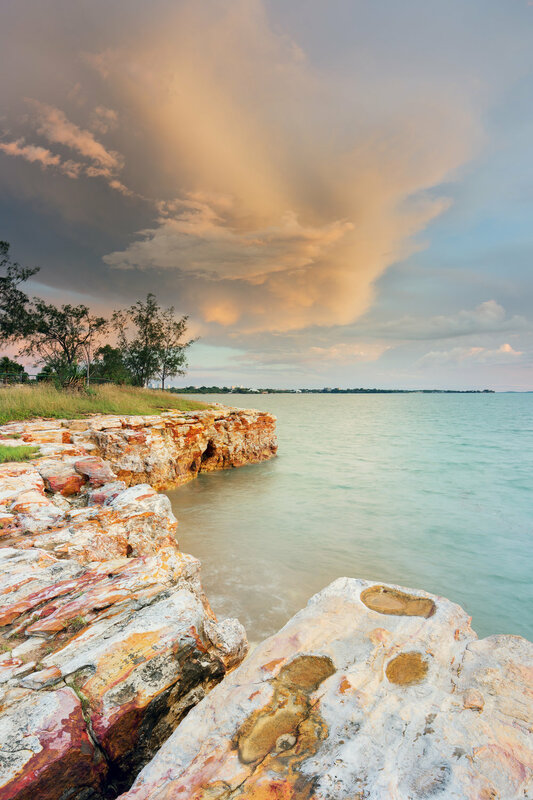 It's environment is similar to a lot of other Top End wetlands: gorgeous crystal blue waters fringed by paperbarks and pandanus, filled with barramundi and the legendary saltwater crocodile. Corroboree is larger than a lot of the other wetlands and billabongs in the region, and every trip out there leaves me exploring a different perspective of this magical place. Each trip I "discover" something different - on this visit I saw both Jabirus and White Bellied Sea Eagles in their nests, with young! If you would like a guided cruise of Corroboree, Wetland Cruises provide a great experience. I recommend the sunset cruise - the golden light cast over the water and foliage makes for some gorgeous photos!